Oh� the magic of weddings. Personalized Bridesmaid and groomsmen wedding thank you gifts. 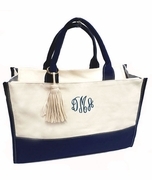 Elegant monogram and personalized bride tote bags for wedding day. 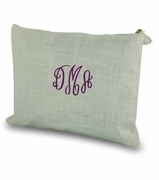 Classy bridal party embroidered and monogrammed tote bags for the bride, maid of honor, bridesmaid gifts, mother of the bride tote, mother of the groom bag and flower girl mini tote to celebrate the big day. Practical wine cooler tote for groomsmen and ushers for wedding day presents. Quality construction, fashionable with immediate shipping. There�s no doubt that a wedding is truly a magical thing. There is however, a certain amount of planning that goes into a wedding. 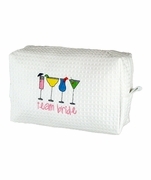 There are gifts for the bridal party to consider, thank-you gifts for friends and family, and the question of how you are going to carry it all to from one place to another. 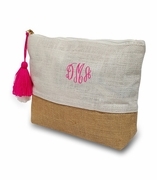 A personalized tote from Simply Bags is the perfect solution to these and other wedding day quandaries. Whether you are looking to put-together a gift bag for the bridal party or find a fashionable way to transport a change of clothes to the site of your destination wedding, we can help. 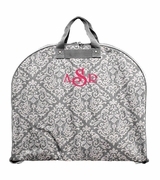 We carry a wide variety of fabric options for our personalized bridal totes, allowing you to match or complement the theme you have chosen for the big day. 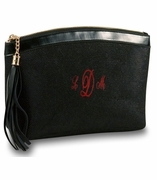 Size wise, we stock everything from small cosmetic bags (a perfect addition to that bridal party gift bag!) 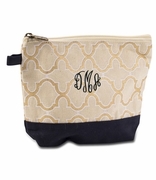 to larger, sturdier totes that make perfect gifts for the mother of the bride or groom. 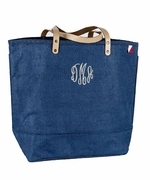 All of our tote bags are crafted using high-quality construction and chic, cheerful fabrics. 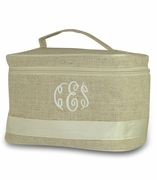 Most of our bridal totes are available for personalization with either a full name or one to three-letter monogram.